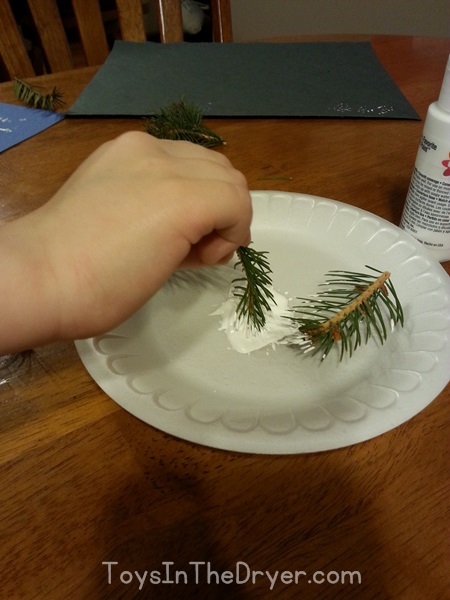 A few months ago I pinned a painting snowflakes with pine needles craft. I thought it would be a fun craft for my girls to do. I would link to the original post for the pin but spoonful.com is redirected to family.disney.com/crafts and I can’t find the post anywhere on that site. 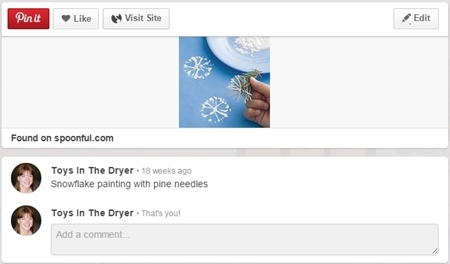 Instead, I’m showing you a screen shot of the pin. 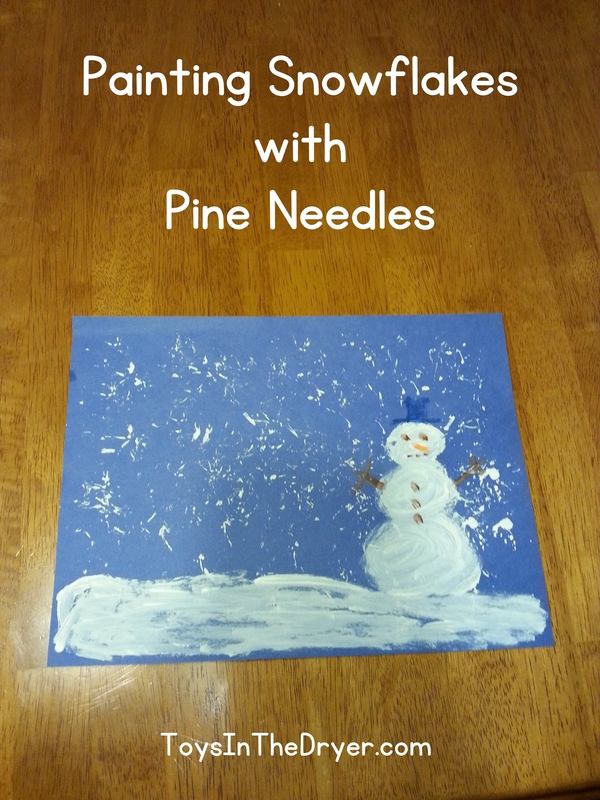 Don’t those painted pine needle snowflakes look cool? Yeah, I thought so too. But, as you can see from my featured photo at the beginning of the post, ours didn’t turn out quite so well. 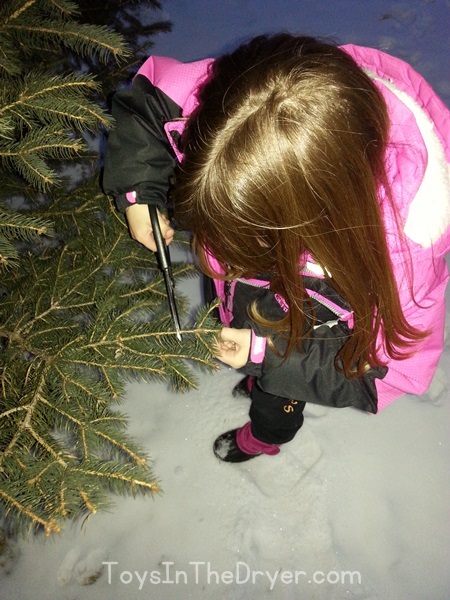 Tottie and I went out to our back yard and clipped a few small branches from our pine trees. We clipped from two different types of trees. 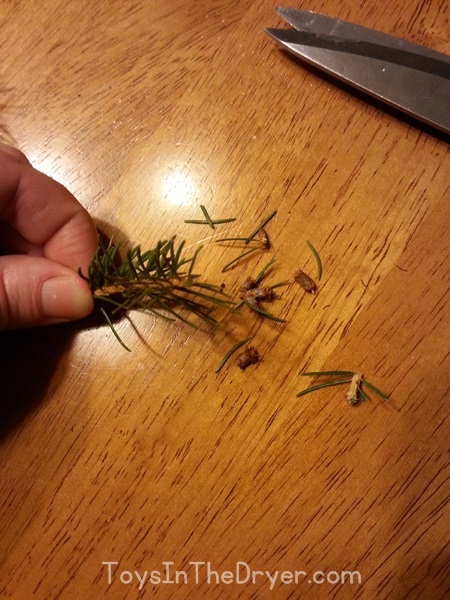 I then cut off the tips so that the pine needles could lay flat when pressed onto the paper. 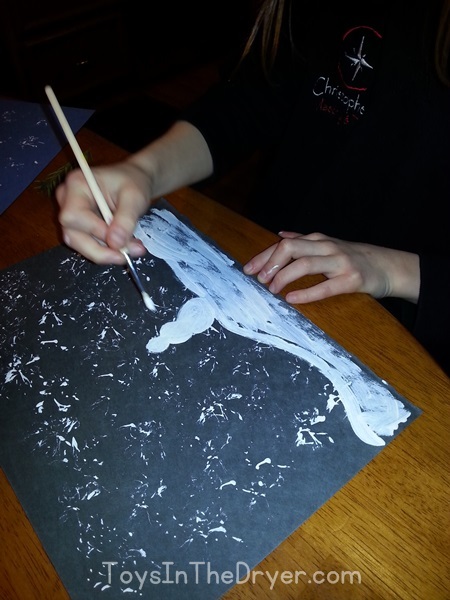 …and pressed them onto the paper. 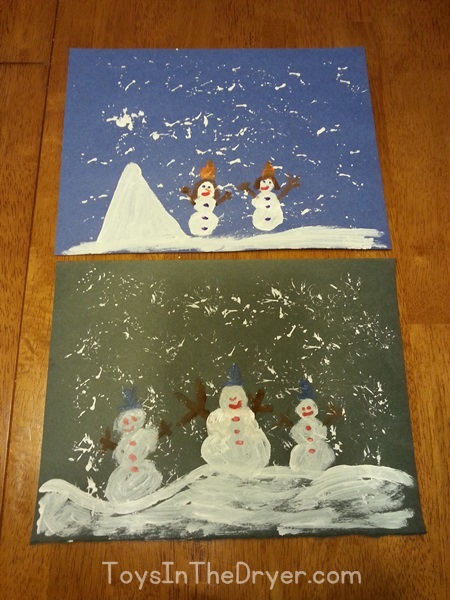 Yeah…ours look NOTHING like the perfect snowflakes in the Pinterest photo. Oh well. Tottie thought it was cool anyway. Nutty decided it was “lame” because it didn’t turn out like the photo. 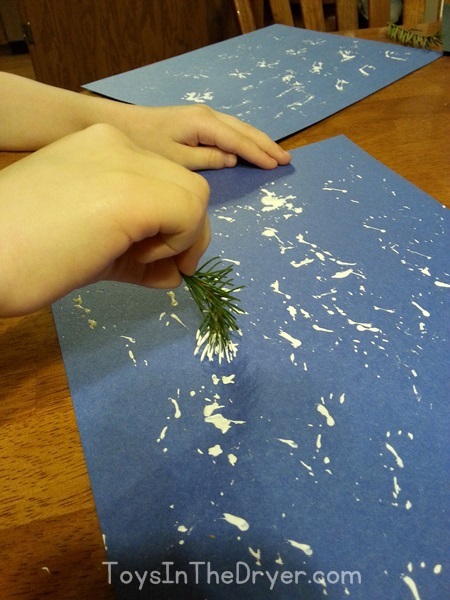 Here’s our finished attempt at painting snowflakes with pine needles. I think they look ok but, like Nutty, was a bit disappointed that they didn’t turn out quite as good as the pin.